today’s forecast? cloudy with 100% chance of awesome. i’m no weather girl, but i do know the later part of the guess is spot on! (and since we are in austin, i’ll throw in some heat). control is an illusion. we pretend we have control. but at the end of the day, the only thing we have reign over is our attitude. 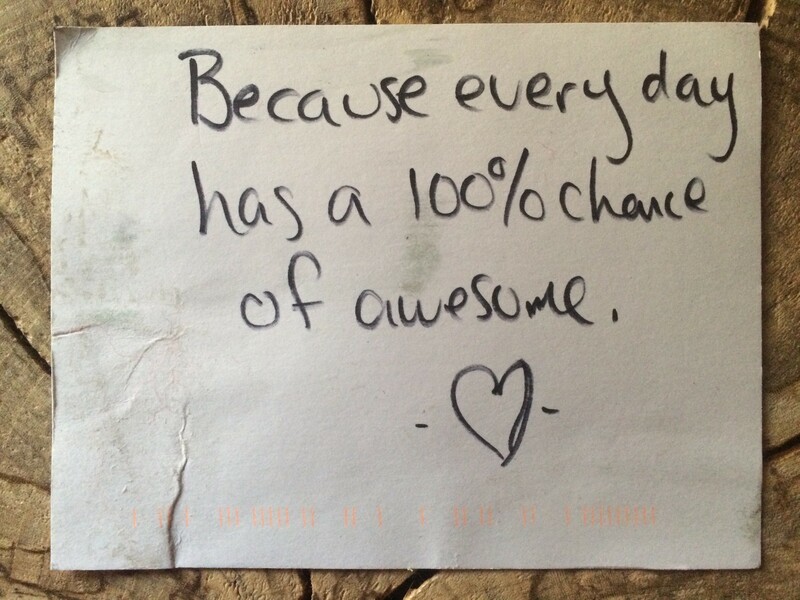 so, why not make it 100% awesome? want to get creative? send in a postcard!